Mead bottles are available for pickup in our Tasting Room only. We do not ship alcohol. 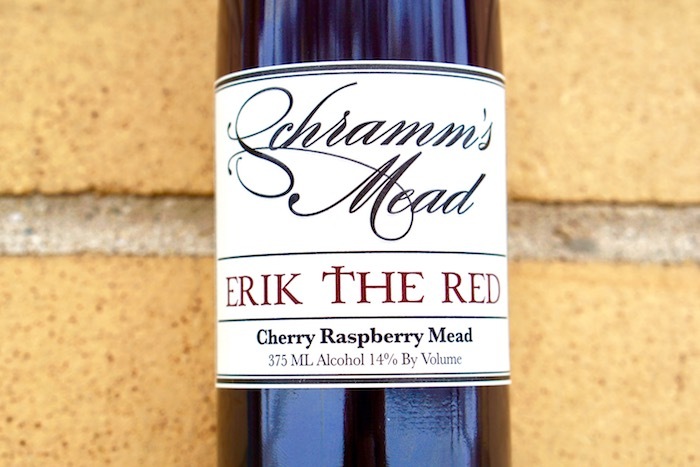 Erik the Red is one of Ken Schramm’s signature meads, a member of his original line-up. This bold blend of red raspberries and tart cherries has been refined and improved upon over decades of batches. Batch two features a unique and delicious blend of heritage red raspberries and lutowka cherries. From Anonymous of Ferndale, Michigan on 2/5/2018 . I just only started expanding my cellar to include meads but this is just an amazing mead. One of the best I have tried so far. It would only let me rate it 5 stars but if I could go higher then that I would.